Manufacturers and retailers are inundated with information from an ever-increasing number of disparate sources, but the real challenge that they face is how to ensure their big data becomes smart data. Only if retailers and brands can gather, integrate, analyse and create actionable insight from their point of sale (PoS), customer loyalty and e-commerce data will they win shoppers’ hearts and minds and gain a competitive advantage. In fact, the ability to turn big data into smart data has become a game changer for organisations that have chosen to embrace such a positive strategy. They know that being able to study the minutiae of individual consumer preferences and customer choices can have a real impact on their bottom line. A data strategy has to be layered to be really effective. The first level should be the big data, the second tier the smart data and the third layer the insight that can be actioned from it. Gaining access to an increasing amount of data does not necessarily lead to better decision-making. The key is to know what business questions to ask that your data might be able to answer. You also need the knowledge, and technology, to make sense of what can be mountains of data captured and stored in different parts of the organisation, and often in several different locations. Having sales and marketing data in silos, for example, makes it difficult to create accurate short- or long-term forecasts. What is clear is that sales data analysis and data science do provide retailers with new insights into areas such as product availability, repeat purchases of promoted and new items, range assortment and shopper missions. There is so much untapped potential from smart data, but organisations need to be brutally honest about whether their data is working hard enough for them. It is likely there is currently not enough investment in combining big data and analytics to strengthen the impact and ROI of their pricing, promotional and media strategies. The reality is that a competitive advantage is being missed because a retailer will not have an accurate picture of what is the right price point for a particular product. They may also be unable to create and deliver the most effective promotional campaigns. Data provides an understanding of shopper behaviour, so a manufacturer or retailer must ask the right questions to obtain a clear picture of how changes in behaviour might affect their own business now and in the future. For example, what data does it need today and how might this data be used to deliver the ROI it requires? 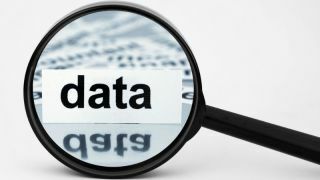 What data has already been collated and is ready to analyse, and what important data has yet to be gathered? With so much data available every organisation needs to know exactly what business issue it is trying to solve. For a retailer, is the aim to improve overall sales and margins only? With the growth in the omnishopper, smart data can reveal which channels particular shopper segments tend to use and when. This becomes increasingly important as consumers’ expectations continue to rise, and the choices provided by multiple channels can help shoppers to change their behaviours. Mobile has become more important to the whole shopping experience and smart data analysis is helping retailers and brands create a seamless experience for consumers. Indeed, being able to turn big data into smart data can help to find ways to remove the friction points and barriers that make an offline or online retail experience frustrating. This can boost loyalty, which is created not so much by low prices these days, but by other factors such as customer service and transparency. As mentioned, there are obvious business benefits from mixing data with analytics to help adapt to changing shopper behaviour. This is certainly true when it comes to digital and the amount of data now being collected from high-speed applications and from ads viewed on mobile devices, for instance. Retailers and manufacturers need to be able to analyse and assess people’s digital footprint to discover whether the sales achieved by a particular campaign justified the marketing spend. Being able to identify what has been purchased at a point of sale after an advertising campaign is the best option for a brand to define its ROI. Technology has a role to play in helping organisations extract and analyse data more effectively and assist with new product development and range optimisation. For example, retailers are realising the benefits of automatically loading, integrating and augmenting data from their stores to create an up-to-date single view of their customers. The process involves analysing everything from point of sale, CRM and loyalty card data, as well as inventory and consumer panel information. When these data sets are coupled with analytics for price, promotions and assortment analysis, retailers get a better understanding of how they and their suppliers can best target their own shoppers. Imagine the business opportunities from using trip mission segmentation where the analysis tells you why customers are visiting stores and reveals the clusters of different shopping missions that need to be fulfilled across the entire store portfolio. Better data analysis certainly means more effective targeting when spending money on promotions. Smart data will reveal what is working best in which store in which region or country and with which consumer segment. In some areas households might be more sensitive to promotions than in other places and smart data allows brands and retailers to be sensitive to these differences and react accordingly. If a campaign is going to be cost effective, a manufacturer also needs to be able to create and deliver the most effective promotional and media campaigns. They only achieve this with a better analysis of customers’ individual preferences and buying habits. This means manufacturers must work harder to fight their corner and if their own data is not as detailed as that held by the store owners they should consider collaborating with research companies that can help them to plug any of their data gaps. The findings can then be shared with stores to demonstrate a product’s value to a particular category. Manufacturers can discover what is unique about a particular product from the shopper’s point of view. Every product must have some level of ‘uniqueness’ to convince people to buy it over and above another brand. Hot sauces is a good example because the consumer is faced with so much choice today. What makes shoppers chose one variety of hot sauce over another? What product characteristics are the most relevant for the different shopper segments? A retailer might already stock three Indian flavour sauces, for example, and is unlikely to want to sell another one. However, by using predictive analytics, manufacturers can analyse the key attributes, such as size, packaging, flavour, brand name and price, and combine key competitor analysis to pinpoint what is more likely to sell in different geographies and stores. They can then work out how incremental a product will be before taking it to market. Technology is developing at an incredible speed and smart data has become a powerful weapon to ensure technology is used as effectively as possible to connect with consumers. Technology is not only helping to gather data at the point of sale and through in-store activity such as sampling, it is also assisting retailers in planning their stores of the future. Smart data fuels innovation because it reveals to marketers what works and what does not. Manufacturers can dive deep into the key attributes of their products, and demonstrate through analysis the value generated for the specific product and the category. The value proposition can ultimately help to persuade retailers to keep a product on the shelves. In today’s world data is knowledge and knowledge is power, and having access to data and being able to analyse it quickly to make commercial gains is absolutely crucial. Unfortunately, many organisations have only scratched the surface of what is possible.